" Joe worked with my wife and I thru two transactions. We purchased a home that suited our current needs first. We then sold the other property. Both transactions went very smoothly with his able assistance. If we have other realty transactions, we will employ him again. " " We decided it was time to downsize after 30 years in our home, so went to a trusted friend, Joe Nastri, to help us with this huge endeavor. He was very knowledgeable and helpful through the entire process. We were sure we wanted to move but had no idea the amount of work we needed to do to prepare to sell. We were introduced to a stager, Lorrie White, and contractor Paul Nodzo, to help us make our home a product to sell. With the assistance of these three wonderful people we were able to sell our home and purchase a townhouse that we absolutely love in about 6 weeks. Thank you for everything and we highly recommend this team. " " a year agoI recently purchased a multi family home. Rick Buldoc (my buyers agent) was helpful, and extremely accommodating. The Nastri team worked together to support the experience I had, from Karen, helping expedite the closing, to Joe helping with a few utility issues. My purchase was a HUD purchase and went very smoothly due to the expert collaboration in this office. My closing was in record time under 30 days. I asked for recommendations on a good real estate attorney, and was very impressed with that office as well. The Nastri team really knows how to get things done. I highly recommend the Nastri team. " " I had such a great experience with The Nastri Real Estate Team. It was my first time going through the process of looking and buying a home and the Nastri team was very helpful, every step of the way. They made it stress-free and was able to answer any and all of my questions. The team was available whenever I wanted to see a house, and we looked at many until we found the right one. I appreciate the ease of the home buying process and couldn't have done it without the help from The Nastri Real Estate Team! " " I was very happy with the sale of Mom's house - everything went smoothly. I know that I was cautious, worried and all those good things, but you were right along. Your team and that at John DiLauro's office were extremely helpful and thoughtful at all times. I would certainly recommend your team to anyone. Thanks again for a happy experience during a stressful time for me and my sisters. " " The Nastri real estate team are professionals who care about their clients. 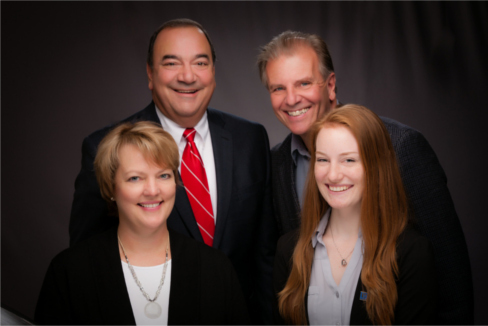 They have extensive knowledge of the Syracuse area and enjoy putting their clients at ease during the challenging task of buying and selling a home. " " I just love this team! So patient and caring! Thank you!! " " My family has been using Nastri RE for over twenty years. This house built in 1870 and lived in by our family members for seventy years was a challenge because of so many years of accumulated personal property and furniture in every nook, cranny and garages. Joe Nastri was on site every day to insure that the contractors did what had to be done, did it right and did it on time. With his help every aspect of the sale and closing went off just as it should. Thank you Joe and Karen. " " Joe is the best! He was professional, responsive, knowledgeable, and helpful. He answered all my questions immediately. I will definitely sign with him again when I sell my present house. " " My property was sold, and closed, within 1 month of listing with Joe Nastri. This was after listing with three prior agents, and 5 failed deals, going back to early 2013. I strongly encourage you to give Joe and his team a shot at listing your property. From the initial advice he offered us, all the way through the consistent communication leading up to the day of closing - these guys are the real thing. " " It was a pleasure to work and talk with the Nastri Real Estate group. Everything regarding the sale of the house was explained clearly. Communications back and forth were carried out quickly. I highly recommend the Nastri Real Estate group. " " I am very pleased that I chose the Nastri Real Estate Team to handle the sale of my home. My Park Street home is the only home I have ever owned and ever sold. The negotiations were not easy; thought we had a signed deal and then had to negotiate over again. Joe was a steadfast negotiator through several tries to agree on price and details. Joe Nastri got me a great deal. Karen answered every question I called her about. She kept me informed and calm. Great team. " " We recently purchased our first home with them and had a great experience with the Nastri real estate group. My real estate agent Rick was awesome and Karen who works in the office always answered my many phone calls and questions. I would highly recommend them!!!! " " Joe and his team were helpful, productive & professional - I will definitely recommend them to everyone! They were all wonderful to work with! Joe was always easy to get on the phone and helped with all my questions. " " I had a great experience with Joe Nastri! He was very prompt to arrive at the house I was selling recently and explained what he could do for me, as I wanted a quick sale. He was very thorough and even took the time to hire a contractor to remove all of the items I didn't want to keep. Joe is a very aggressive, but professional agent. He listed the house quickly & I got offers right away because he priced it fairly. He also has a wonderful personality! " The Nastri Real Estate Team, LLC at Keller Williams Realty Syracuse is much more than a team of real estate professionals. We're also highly trained negotiators, marketers, researchers and customer service experts, helping upwards of 100 families yearly to achieve their real estate dreams. We have made it in the top twenty of local Realtor rankings year after year. We'd love to discuss your goals and the specific ways that we, along with Keller Williams, will give you an advantage.